Ck20 antibody found in normal epithelial tissues of the GI tract and in colorectal, stomach, urothelial (and others), but absent in lung, prostate and non mucinous ovarian cancers. This can be used to differentiate glandular tumors. 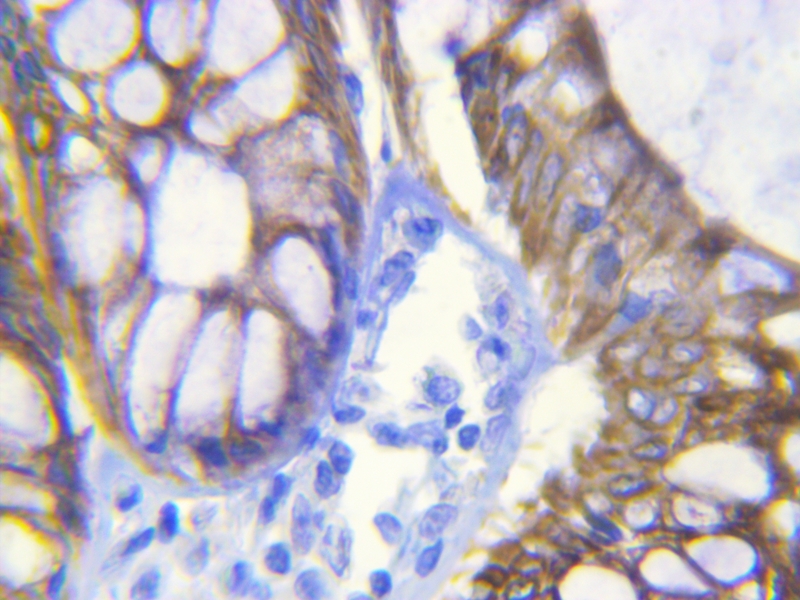 We tested this antibody on human, mouse and rat colon finding positive reactions in all. Ck20 – Santa Cruz – 271183 – Mouse monoclonal – Targets – Human, mouse, rat. Tested applications – Human, mouse & rat. I am not certain the place you’re getting your information, however great topic. I must spend some time finding out more or working out more. Thanks for fantastic information I was searching for this information for my mission. You really make it appear so easy along with your presentation however I find this matter to be really something which I think I would by no means understand. It kind of feels too complicated and extremely vast for me. I’m looking forward for your subsequent publish, I will attempt to get the grasp of it!